Whether you are looking for cheap Legoland tickets, kids go free breaks or Legoland Windsor hotel and ticket packages we have all their latest deals and offers listed below. Legoland is a firm favourite of ours with rides for all ages, live entertainment, Lego driving schools and attractions, all set in 150 acres of stunning parkland, Legoland offers a truly great destination for a family break. 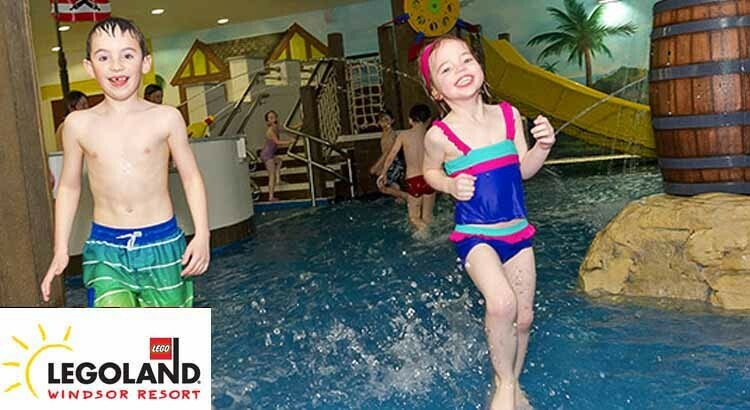 For the best value hotels near to Legoland we recommend you book with Budget Family Breaks an official Legoland Partner who offer Legoland Hotels deals from just £44 per person. Legoland ticket prices vary throughout the year and are cheaper if you pre book in advance. Alternatively why not book a local hotel throgh our partner budget family breaks, where they have a choice of local hotels near to Legoland that include FREE tickets to the theme park! If you just want to plan a day trip to Legoland without a hotel stay we’ve found some alternative money saving deals from Legoland vouchers to family pass concessions. Convert Tesco Clubcard points into Tesco Boost tokens* and for Legoland get four times the vouchers’ face value to use on tickets, eg, £5 in points converts into £20 worth of rewards. Look for promotional packs of Kellogg’s cereal and snacks, including Rice Krispies, Frosties, Crunchy Nut and Squares, to get ‘free’ adult entry via a voucher for Legoland until 30 Jun 2018. As this is a 2 for 1 ticket offer you must buy a full-price on-the-gate child or adult ticket to get the free adult entry. If you register and print a voucher from Days Out Guide then buy a National Rail ticket you can get 2 for 1 entry to Legoland. You need to print a voucher for the relevant attraction plus make sure you have a valid rail ticket bought from National Rail on the same day for a single or day return ticket, or within the days of travel for a return ticket. Get one ‘free’ adult ticket with voucher on selected Cadbury packs of chocolate. Hunt down the promotional packs of Cadbury chocolates, including Chocolate Orange Minis, Dairy Milk Giant Buttons and Crunchie Rocks, to get a voucher for 2 for 1 entry at Legoland. Legoland resort closes for Winter. However it opens from March to early November, so please check the Legoland website before you visit or book your tickets in advance. To get to Legoland Windsor simply follow all the LEGOLAND signs on the local roads as this will get you to the Resort quicker! If you are using a Sat Nav system to get to the Resort, just follow the local brown tourist information signs directing you to LEGOLAND as some Sat Nav systems may incorrectly direct you into a residential street. Alongside the amazing rides you’ll find live shows, building workshops, driving schools and attractions. Located on the out skirts of London, Legoland Windsor is one of the best days out for the whole family. Let the kids to run around and enjoy some really cool Lego sculptures. For example you’ll be able to see giant cities built entirely from Lego as well as famous landmarks from across the world! Plus there’s loads of fun rides to choose from that are sure to keep you excited and entertained throughout the day. Step right into the Heartlake City world of Mia, Andrea, Stephanie, Emma and Olivia, with character meet-and-greets, a live action music show featuring all five friends, a Heartlake City Mall area and lots more! 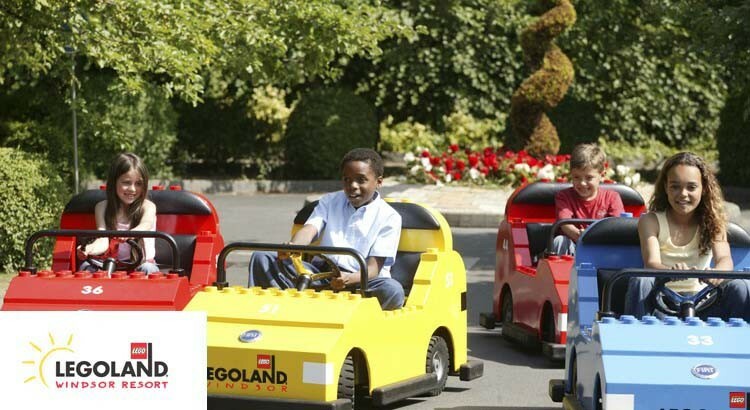 LEGOLAND® especially welcome preschool guests with many rides carefully designed with them in mind. Don’t forget to pick up a Little Explorer’s Guide to help make the most of your day of fun. Set sail on a perilous swashbuckling adventure in this new pirate play area! Brave shipmates can explore the forgotten fort and fearsome battle ships, as well as searching for a long lost treasure hoard at the hugely popular Pirate Falls! Splash and play in this exciting new themed land! Drift through a magical fairytale landscape, take in a 4D LEGO® movie, meet the stars of LEGO® Star Wars and so much more! Make a splash at Drench Towers, the largest outdoor water play structure in the UK, greet your favourite supersized DUPLO animals at DUPLO Splash Safari and face the surge from the tipping DUPLO brick! Don’t miss a visit to Brickville, the exciting new village with DUPLO houses and colourful larger-than-life characters. Travel to a distant galaxy at the UK’s only indoor LEGO® Star Wars™ Miniland Experience! Enjoy 7 of the best-loved Star Wars movies scenes – all created from 1.5 million LEGO® bricks and including 2,000 LEGO® models, along with authentic lighting and sound effects. Another world-first at LEGOLAND® Windsor Resort, the Atlantis Submarine Voyage takes you on an underwater adventure during an immersive submarine ride. Join the LEGO® divers on a daring marine mission the whole family will enjoy! Travel a secret passage to the bottom of the ocean in a search for the lost land of Atlantis. Explore stunning recreations of some of the world’s most famous landmarks, including the NASA Space Station, and The London Eye – created from over nearly 45 million LEGO® bricks resting in intricate landscaping. Featuring daring acrobatics and swashbuckling swordplay, the Pirates of Skeleton Bay is the first pirate-themed live action show at LEGOLAND®! Learn the history of the LEGO® brick, see the Master Builders hard at work, have fun with an interactive LEGO® brick wall and spot your favourite celebrities created entirely from LEGO® bricks. LEGO Big Shop Britain’s largest LEGO® shop is filled with a huge range of unique souvenirs, gifts and LEGO® set. Take the family to Legoland with this fantastic cheap ticket deal. Save 25% off the gate price with this special 2 Day Ticket offer, giving you the perfect excuse not to miss out on all the fantastic attractions and rides Legoland has to offer. 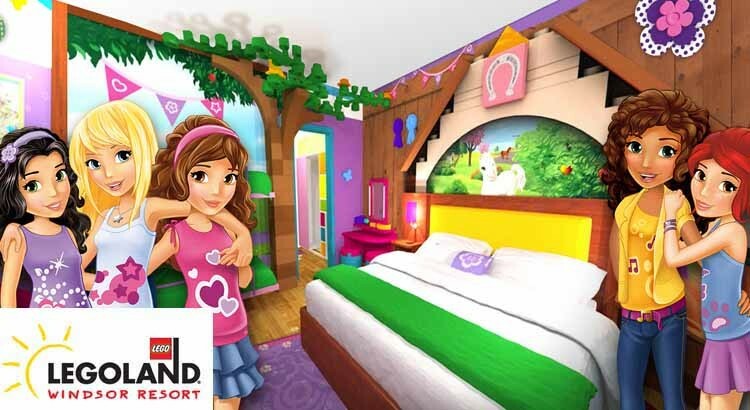 If you Fancy a holiday to the LEGOLAND Windsor Resort then treat the little ones to an exciting holiday in their all new LEGO Friends themed rooms plus enjoy your second day FREE! Save with our great Legoland Windsor hotel deals from just £40pp. Enjoy a splashtastic family break with Legoland Holidays in 2015 from just £89 for a family of four and experience a stay in the UK’s most impressive Lego themed hotel included.